Item Number: 92-1-02G 18458 Actual Weight: 4 lbs. 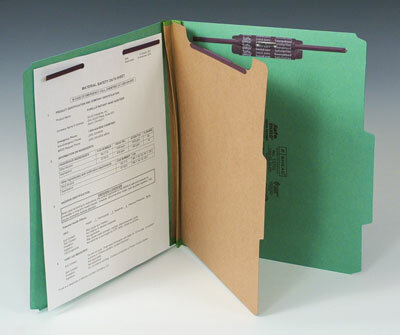 Make your paperwork easy to organize and store. 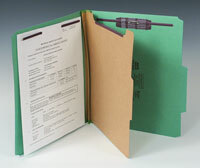 Fasteners and dividers create separate filing surfaces within one folder. Heavy-duty 25 pt. pressboard stock for strength and durability. Expands up to 2" to handle extra paperwork.